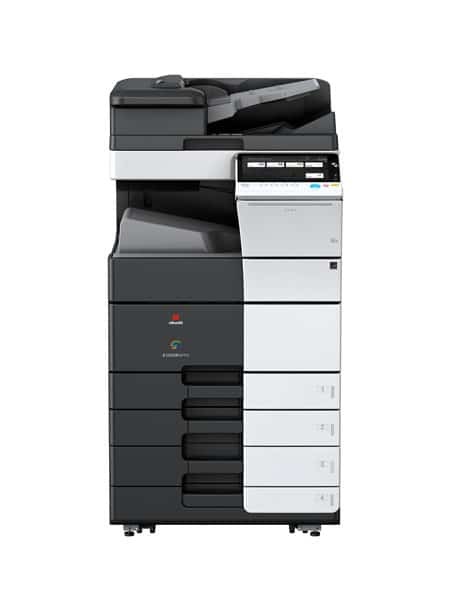 What does it cost to rent a photocopier or printer? Generally, renting a machine costs more than leasing. It can be anywhere between £25 per month right through to £1,000’s per month. It depends completely on the type of machine you require to do the job, what you want included in the rental e.g all toners, service, even paper will make a difference to the rental figure. You can hire a copier for a short term or a long term rental, depending on your requirements of course. We can be as flexible as required. Our copier rental packages can range from a day, to a week, several months, a year, or even longer. We provide complete flexibility with our photocopier rental packages, we know if this is on the radar there is normally a reason for this. Whether you’re looking for a full colour machine or a plain black and white machine we will provide the right equipment throughout the UK. All your printing needs are provided when we become your print and document management supplier. We have supplied copiers on a rental agreement for some weird and wonderful reasons. From TV and Movie shoots right through to a business service company who needed an interim solution while their office was renovated. We’re sure we can help you whatever the reason for renting. We do not tie customers down to a fixed period; they can return the machine whenever it suits their business needs. This provides maximum flexibility for your company.